Timely reports from members of the public and hard-working graffiti removal teams have ensured the volume of graffiti across the borough is declining. 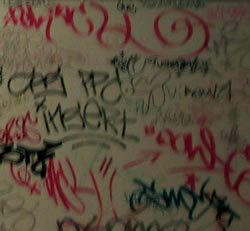 In 2004/2005, 87,393m of graffiti was removed from areas across the borough. That figure had fallen to 39,626 sqm in 2010/2011. Last year, the council’s graffiti removal teams responded within 3 working days to reports of graffiti – and 24 hours for offensive and racist graffiti – in 99 per cent of cases. One of the big success stories of Wandsworth’s Graffiti Removal Service has been its education programme, which is offered to primary schools across the borough. Since its launch seven years ago, graffiti levels have fallen over 50 per cent, and service costs have fallen in line with this as a result. The education programme takes the form of a show, which uses colourful characters to entertain and teach pupils about the perils of getting involved with graffiti. 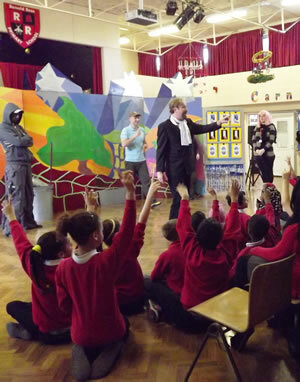 Youngsters in years 5 and 6 at Ronald Ross Primary School, in Southfields, were the latest to watch the anti-graffiti themed interactive musical show, which was performed by the Dangerous Theatre Company. Local environment quality surveys across the borough in 2010/11 showed that only 2 per cent of graffiti was classed as being present in unacceptable levels, as determined by Government guidelines.